Nothing like a Nor’easter to bring in April, right? Tis the season to reflect on all the money you spent this past winter on heat seeping out your windows and doors. It’s the month when rainy defies physics and downpours hard and sideways. Is your house ready? It is no secret that windows and doors are rarely installed efficiently. Even though your guests won’t notice it, there is a peace of mind that comes with properly insulating, flashing, and ice-and-water-shielding any and all openings to your home. We’ve been happy to put our Installation Masters USA accreditation into practice over the years; however, something was missing. 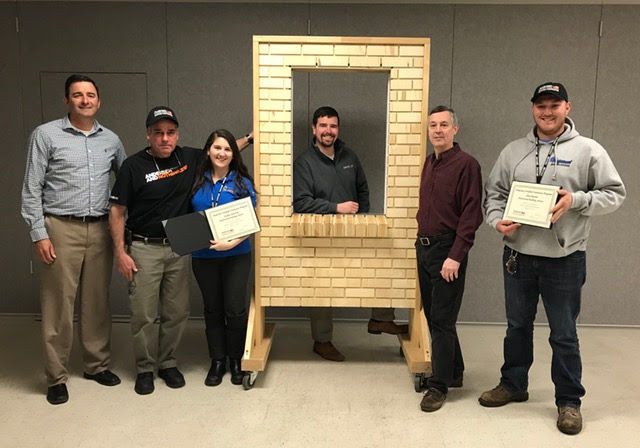 When the opportunity presented itself last month, we just HAD to jump at the chance to become Andersen Certified Contractors. We did it! Check out this photo of Jordan & Alex receiving our certifications from the founders of the Andersen program! We are thrilled to partner with a company that provides reliability, durability, and a variety of beautiful designs and materials for our homeowners! for the month of April! For more information on Andersen window and door products, give us a call! We are happy to answer your questions! 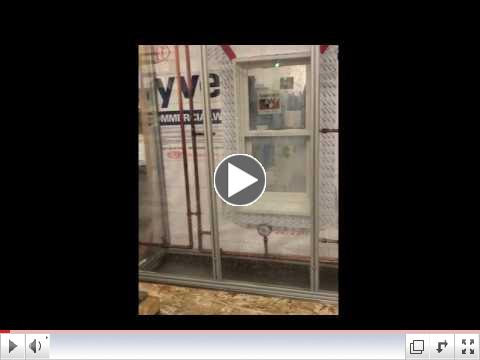 Check out this 30 second, cool Andersen Window Water Test. Simulated 8 inches of rain per hour with 33 MPH winds for 20 minutes.